Royal shares Online is a private research organization engaged in investments in social development, such as: public structures, the development of medicine and pharmaceutics. Considering the current situation in our country, our company is an offshore one. We are officially registered in London. The amount of 10 USD has been withdrawn from your account. Accounts: U4222871->U18137483. Memo: Shopping Cart Payment. 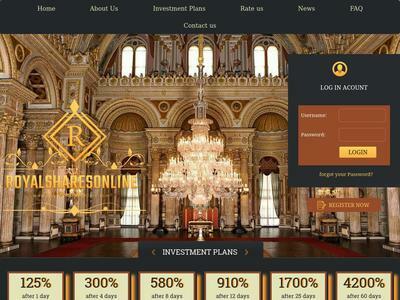 Deposit to royalsharesonline.com User nelomota.. Date: 16:14 06.11.18. Batch: 235025896.